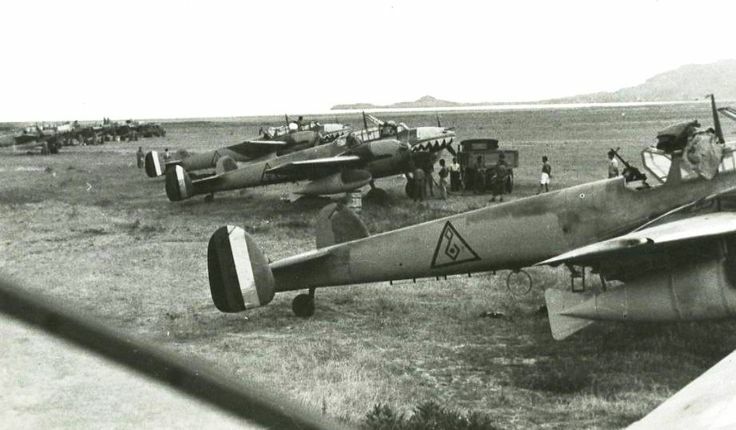 BF110 fighters, HE111 bombers and Junkers 90 transports as well as Italian Cr42s supporting Rashid Ali Gailani against the British. 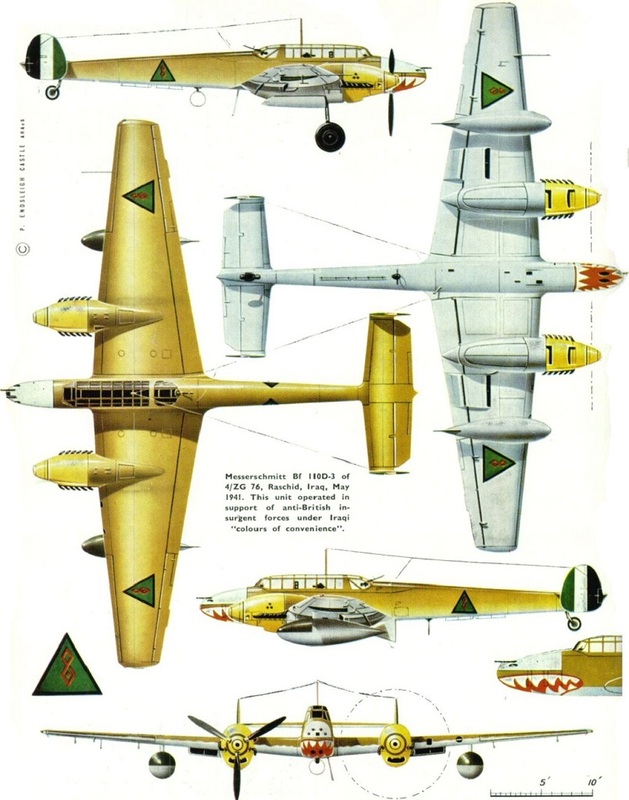 here;s some details about the 1941 air war . 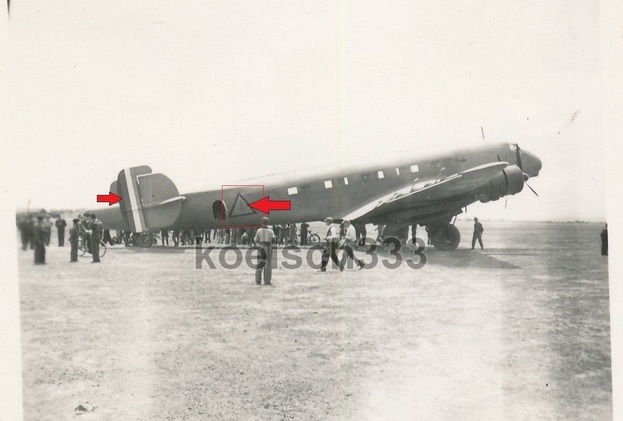 This picture of a German plane He-111 contributed to the war against British forces in 1941, smashed with signs of the Royal Iraqi Air Force. 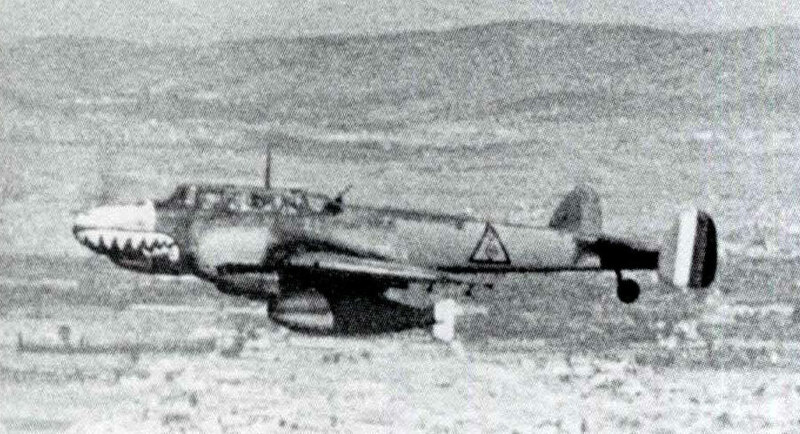 And here is a Luftwaffe fighters type Bf-110 with Iraqi markings at Athina in May 1941 preparing for the Iraqi mission. والتي كانت ضمن القوة الجوية الالمانية التي دعمت القوات العراقية أثناء الحرب العراقية البريطانية عام 1941 بالاضافة الى مخطط للطائرة. طبعا والتي كانت تحمل اشارات القوة الجوية الملكية العراقية. 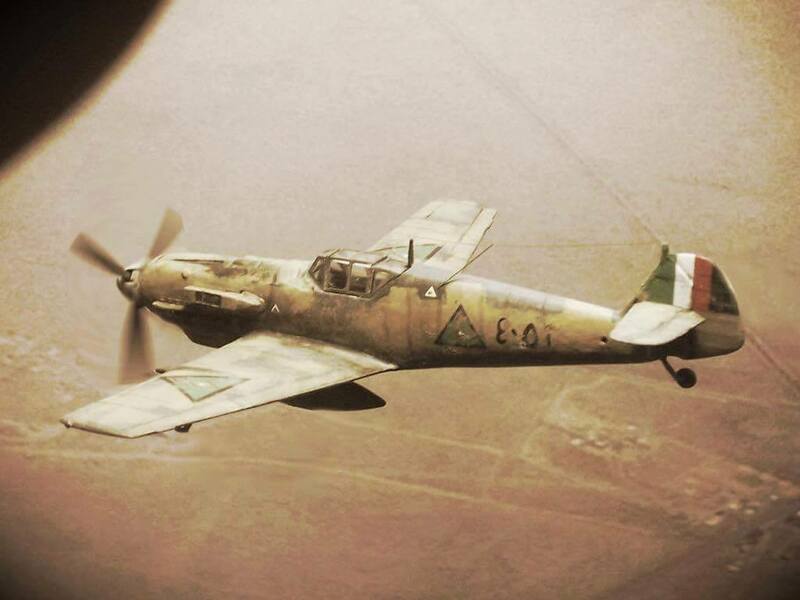 a BF109 in Iraqi colours. It seem the photo is not real fake! 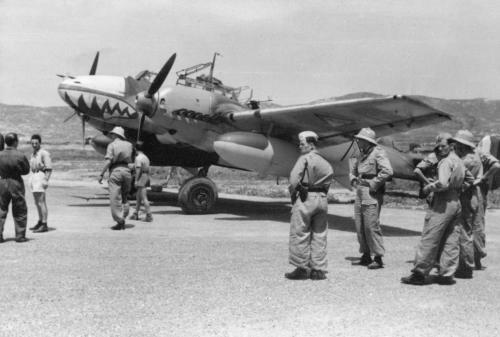 There were no Bf 109 in Iraq.